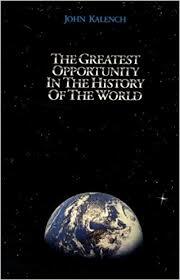 I recently read a copy of The Greatest Opportunity in the History of the World by John Kalench. I found this book at a local yard sale, right here in Florida. After I flipped through a few pages, I realized it was about network marketing, so I bought it for just twenty-five cents. I read the book in one setting and really enjoyed it. 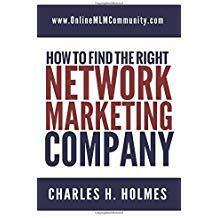 The thesis of the book is that network marketing is the greatest opportunity in the history of the world. John provides many examples of what makes our industry so special. The book is short, easy to read and on point. You could read it in about 90-minutes. The purpose of the book is to educate people about the power of network marketing and show why the opportunity is so great. What you will see below are some of my favorite quotes from the book. Each quote is in bold and italics. After each quote, I share my own thoughts on the subject. # 1 Many of us are so caught up with keeping up that survival is all we see and focus on. Most people give up their dreams, and opportunity, because they want security more than anything else. Very few people take risks, even if it will benefit their life, because they are scared of the unknown. # 2 We see what we believe. We don’t believe what we see, we always see what we believe. # 3 One of the keys of this business is loving your product. To be successful in network marketing, you must be passionate about your products or services. If you don’t love them, you won’t have the conviction or enthusiasm in your voice when you share them with others. # 4 The one and only way to earn money in this business is from the sales of products. If no one buys the products, no one makes money. You can recruit new distributors until the cows come home, but people must buy and reorder products for you to get paid. # 5 You only need a handful of serious people in your network to be a big success in this business. That is the beauty of our business. 98% of your team, or more, will not be serious about the business. But if you can find two to five people who are serious, you can earn a six-figure income. Of course, you must also be serious yourself. # 6 Network marketing is a nurturing business. It’s built by caring about others and encouraging them to succeed. That’s why the most successful group of people entering network marketing are female teachers. This business is truly a people business with a product attached to it. You must grow your people if you want to grow your business. # 7 The key to success in this business is duplication. Success in network marketing boils down to getting a lot of people to do a few things consistently. It is not about one person doing a lot. # 8 … We know our success depends on helping others. The only way to succeed in network marketing is to help others succeed. # 9 That which you hold in your hand, it is what you make of it. This business is a gift. Treat it accordingly. John Kalench (now deceased) was the founder of Millionaires in Motion. He founded the company in 1985. He was a leading trainer, consultant and visionary for the network marketing industry. He was also the President, CEO and controlling stock holder in his own network marketing company. His company, Millionaires in Motion, was awarded the President’s Award for Training Excellence by the MLMIA (Multi-Level Marketing International Association) on two separate occasions. John Kalench was also a very successful Nikken distributor at one point in time. In summary, The Greatest Opportunity in the History of the World by John Kalench is a great book for network marketers to share with their prospects. Although the book is 25+ years old, the information is still pertinent. The book is well written, short, and easy to read. Overall, I give the book 4 of 5 stars. If you’ve read the book before, I would love to hear from you. Please leave a comment below to share your thoughts about The Greatest Opportunity in the History of the World. Thank you.